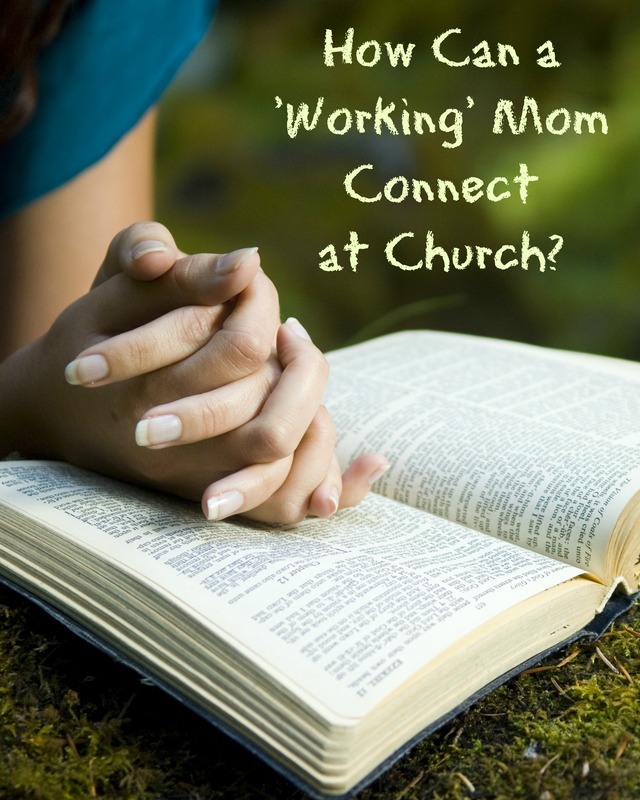 Are Christian Working Moms at a disadvantage when it comes to building relationships with other Moms at church? How can the culture of a church strengthen those relationships? It wasn’t meant to be a slight. At least that is how my friend chose to view the incident. 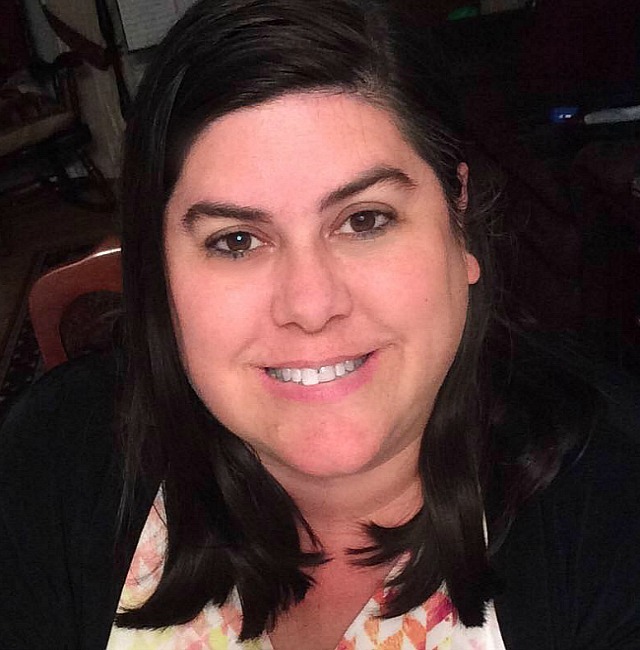 There was a birthday party for one of her 5-year old son’s church friends and he wasn’t invited. He was the only kid in his age group not invited. Publically she chose to put on a happy face and chalk it up to an innocent oversight. However, privately she told me that she was actually pretty hurt. You see, she is the only Mom with a kid in Kindergarten, who works outside the home. This latest episode was just the last in a long line of subtle slights and unintentional snubs that left her feeling completely unconnected to her church family, unconnected to the very Moms that should be her best support network. All Moms, but especially Moms of young children, struggle with feelings of isolation. This is true regardless of the Mom’s working status. Paradoxically, the time period when Mom probably needs the most spiritual encouragement coincides with the time period of maximum disruption to all opportunities for spiritual encouragement. Seriously, between breastfeeding, coaxing an infant to sleep, diaper changes, and the whirlwind of age 1-2, I don’t think I heard more than 10 minutes of any one sermon in over 2 years! Playdates with the other young children at church are generally scheduled for weekday mornings. Again, this makes perfect sense, right? Public places are less crowded, Daddy isn’t home, Mommy needs connection with other Moms, it isn’t naptime yet… I could go on. I get it. The situation still stinks for the working (outside the home) Mom. Clearly playdates during the week are out of the question. 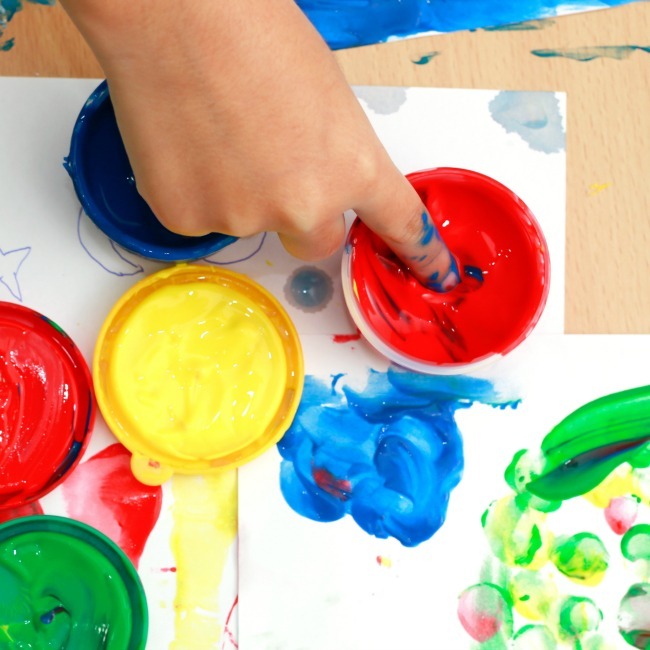 That leaves Saturday– family day– as the only real opportunity for the working Mom to schedule playdates with other church kids. Every family places an emphasis on quality family time during the weekend. However, especially for Moms who don’t work outside the home, Saturday is a sacred time set aside for family bonding, especially if Daddy travels for work, or has a long commute. Playdates are not high on the priority list. It seems like the schedule of a Christian working Mom is incompatible with the schedule of the Christian SAHM or WAHM. According to an April 2014 Pew Research Center Study, in 1970 41% of mothers, whose husbands worked outside the home, were considered Stay-at-Home Moms (SAHM). By 2012, only 20% of all mothers, whose husbands worked outside the home were SAHMs. This statistic does not include single mothers, or other demographics like families where the Dad is unemployed. Even though public opinion has shifted away from the traditional model of Mom staying at home and Dad working outside the home, 60% of the respondents in this study still believed it was best for the children if Mom stayed at home. If you break that statistic down further according to the views of various Christian groups, 69% of white evangelical protestants, 58% Catholics, and 54% other mainline protestant religions hold this view. Only about 10% of respondents believed a Mother of young children (not yet in school) should work outside the home. 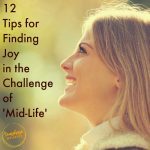 Yet, at the same time, Moms of all types (SAHM, WAHM, Work outside the home Mom) experienced similar levels of being stressed, feeling rushed, and interestingly… feeling happy. There is a huge disconnect between the number of Moms who work outside the home, either by choice or necessity, and public perception of the ideal situation for raising young children. It is entirely possible that within the Christian community there is a stigmatism attached to being a working Mom. However, there are most likely a huge number of Moms at your church who are not served by the classic model of weekday social and church events. All Moms, regardless of work status, are stressed out. The logical (and very personal to me) conclusion is that all Moms need to feel connected to each other. Personally, my overall emotional health is directly tied to my perceived spiritual growth and the connection I feel to other Christians. Maybe there are easy steps a church community could take to address and perhaps alleviate some of the isolation felt by all Moms, including working Moms. Hold Ladies Bible Classes on Wednesday nights, or even another week night. The church our family attends has done this for years and I have to say it is one of the highlights of my week. We pray together (sometimes the praying takes up more time than the actual Bible Study.. and that is just fine), sometimes we sing together, and different women are given the chance to lead Bible studies. The fact that it is during Wednesday night mid-week Bible Study is perfect, because then I don’t have to worry about disrupting the evening family routine multiple times a week. Plan Family Events/Playdates for Saturdays. Not every week. Sacred family time needs to be honored. However, sometimes it is easier to incorporate a Saturday morning playdate into a church-organized event, even if that ‘event’ is merely a bagels and orange juice meet up at a local playground. Hold an evening VBS as opposed to VBS in the middle of the day. Even the most dedicated Mom will probably not take vacation time off for VBS. Make that time special for the entire congregation. Consider holding some (not all) Mom/Woman’s fellowship events during times that all Moms can attend. Mom’s Night Out, Crafting Events, Ladies Day luncheons, Day trips. All of these events can be planned for weeknights or weekends. Provide babysitting/nursery services. Ok, so this last tip is relief for all Moms. Babysitting is super expensive and many families with young children will just opt out of events if they have to pay a babysitter $60 or more to attend. One last thought. My daughter is not lacking for social interaction. Goodness knows she is an expert at the toddler social scene thanks to ‘school.’ However, if I want her to mature into a faithful Christian young woman, it will be necessary for her to have strong relationships with other Christian kids her age. I want to be absolutely intentional about cultivating those relationships starting now. 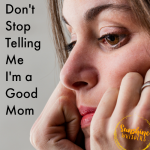 So, it is vitally important for me, as a Christian Working Mom, to find solutions to the divide between Moms like me and Moms who don’t work outside the home. At the end of the day, we all pretty much want the same things for our children… but we need each other. We can’t get there alone. What do you think? If you work outside the home, has it been difficult for you to connect? If you don’t work outside the home, how do you reach out to others? As a community, what are some ideas you have to strengthen every Mom’s relationship with God through our relationships with each other? I would love to hear your thoughts in the comment section below! Previous Post: « A Little Sunshine For Your Week! Through the years of raising our three children, I finally developed “eyes” to see other mothers who weren’t necessarily like me and my situation. I had been blessed to have been brought up “in the church” with parents who truly viewed every child of God as very, very special. To look out at the sea of people who are in the church body and note those who might be isolated is an ability that one must desire to cultivate. It usually doesn’t come easily or naturally. But there is a special gratification, a spiritual goodness, to that kind of cultivated relationship. I SO appreciate your blog, Sara. You verbalize what many of us have thought and/or experienced in our lives and may even still be experiencing. This is a really good discussion to be apart of. I go to a Wednesday night Bible study at my church for women where there is provided daycare, which is exceptionally helpful. I’ve been very blessed to be apart of a group of women from different backgrounds who come together and share our experiences with Christ, pray together and read the Word of God… Also, I just want to mention that this post has got me thinking about my son making friends. He’s 2, but the daycare on Sundays and the daycare on (some) Wednesdays may not be enough. This is great! I’m looking forward to sharing this with some of the ladies at my church! Thank you so much for the thoughtful words, Sara. It’s important for women to take a moment to assess how well they’re looking to the needs of their church’s members. Women with children need particular attention and interaction whether they’re working inside the home or not. But sometimes I think it’s assumed that working moms have a larger support network; I’m not really sure why. Evening Bible studies are a good idea, but moms who work might just need a few hours to themselves more than anything. I have been a SAHM, though I just got a job. I’m not sure I can quite call myself a working mom though because it’s just a part time job and I can still connect for during the day events. Anyway, I can definitely see where you are coming from, and it definitely sounds like a struggle. I’m glad that you offer some solutions to the problem. I hope that I have never slighted a working mom, but I can definitely see how it would happen. Thanks for helping open up my eyes! As a Pastor’s wife this gave me something to look out for and to give help to our ladies. Thanks for sharing this. This is such a great post. I can so relate, even though I am not a working mom. I loved all the statistics. Very interesting! I have several working mom friends at church right now, and I don’t want to slight them at all. And that’s why weekends or weeknights can be great times to hang out, because I know many of them feel guilt about their children not being at playgroups during the day or whatever. Thank you for your thoughtful comment! 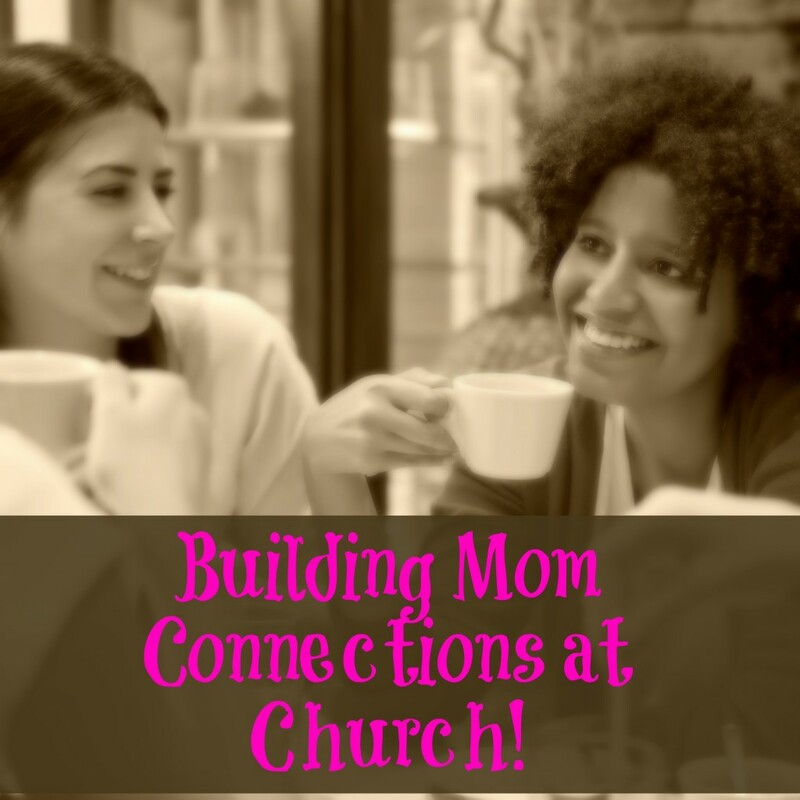 I pray that all Moms can find a church home that is welcoming and where they can get connected and plugged into a support network. I think being a single parent is about the most difficult thing there is. Thank you for adding this perspective! God led me to this blog this morning. Thank you so much for writing it! I recently started as Children’s Ministry Director at my church. Our church is medium sized and in a fairly rural area. We have a strong desire as a church to grow strong families. I think we do an amazing job of serving families once their children hit elem school age, but I am trying to come up with ideas of how to better serve families with younger children (I think of these parents as “in the trenches”- and I am one of these parents!) I was coming up with several ideas that were weekday morning ideas. This post rushed me back to when I was working full time and feeling very left out because of all that is offered during that time. When I read this, I stopped and prayed that God would flow through me to serve all the families in our community. Thank you for the ideas you posted for how to help. Do you know of any more resources on the internet for ideas?